Harvard Magazine is like no other alumni publication or high-end magazine. Harvard Magazine readers are among the most educated, affluent, and influential audience anywhere. 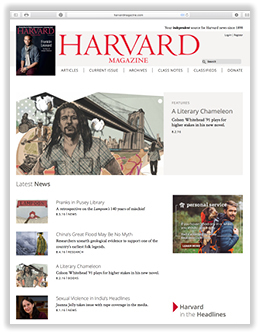 The quality of Harvard Magazine's editorial content–and our audience's personal connection to it–sets us apart from any other publication. Advertising in Harvard Magazine is the best way to build a connection with this exclusive audience. Harvard Magazine has the unique ability to target a specific group or subset within this audience, and offers a variety of products that can be customized to suit your needs and budget. Click on one of the sections below for more information or to download a media kit. 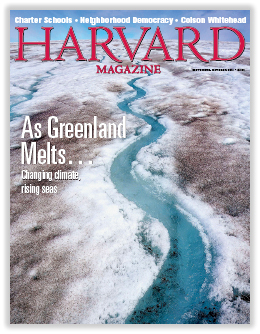 Harvard Magazine is published six times a year and balances intellectual substance with human interest by educating and entertaining readers with insightful reporting on research and breakthroughs–in the fields of business management, the arts, literature, technology, medicine, current events and the social sciences–taking place at the University. The magazine is an independently edited and separately incorporated affiliate of Harvard University. 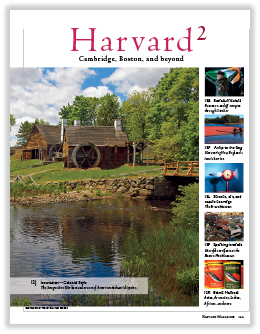 Harvard Magazine is the only Harvard publication distributed to all University alumni, including those of Harvard College, Business School, Medical School, Law School, the Graduate School of Design, the Kennedy School of Government, and all the other graduate and professional schools­–as well as University faculty, and staff. Harvard Magazine employs a 25/75 ad-edit ratio, which means your ad will stand out within our content. This is just one of the reasons the magazine attracts such clients as: Angie's List, Boston Ballet, Cadillac, Canon, Canyon Ranch, Deloitte, Fiduciary Trust, Hainan Airlines, Maserati, Morgan Stanley, Museum of Fine Arts, National Geographic Expeditions, Porsche, Reynolds Plantation, and Rolex. Click to see a full list of our advertising partners. Harvard Magazine is one of the nine award-winning Ivy League alumni magazines that belong to the Ivy League Magazine Network, which delivers more than one million influential men and women. To find out more about how the Ivy League Magazine Network can help build your business, visit www.ivymags.com or contact Heather Wedlake, Director, at 617-319-0995. View our ad sizes and specifications for instructions on how to submit your ad. Are your rates gross or net? Do you offer trade, non profit or HSBA discounts, or added value? Can I advertise to the New England audience only? Does my ad reach the same audience in print and online? 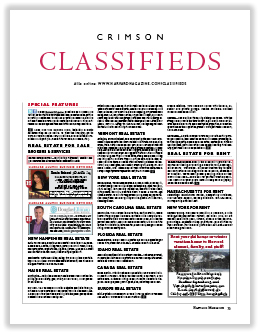 How can I place a classified ad? Do you have an editorial calendar? When is the next deadline?